We welcomed staff from a local business to support us in an ambitious 2 week project which saw more than 50 employee volunteers helping us across 3 locations. L’Oreal UK are our neighbours and run an annual citizen day where they encourage employees to volunteer with local charities and give something back to the local community. We’re thrilled to be chosen as one of the charities and wanted to share the results with you. First we welcomed a team to our Head Office to discuss some ideas around marketing Books for Free. One of the ideas that came from that session was to run an internal campaign at L’Oreal to encourage each of the 600 staff to donate a book, plus create a case study / toolkit so that other businesses could run a similar campaign. 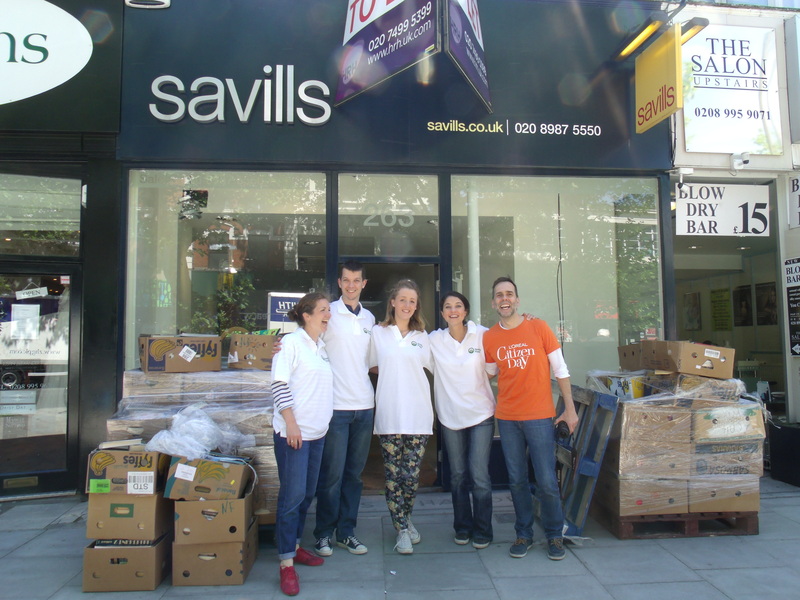 We met the team tasked with helping take our new Chiswick shop from an empty unloved shop into a vibrant “Books for free” centre. 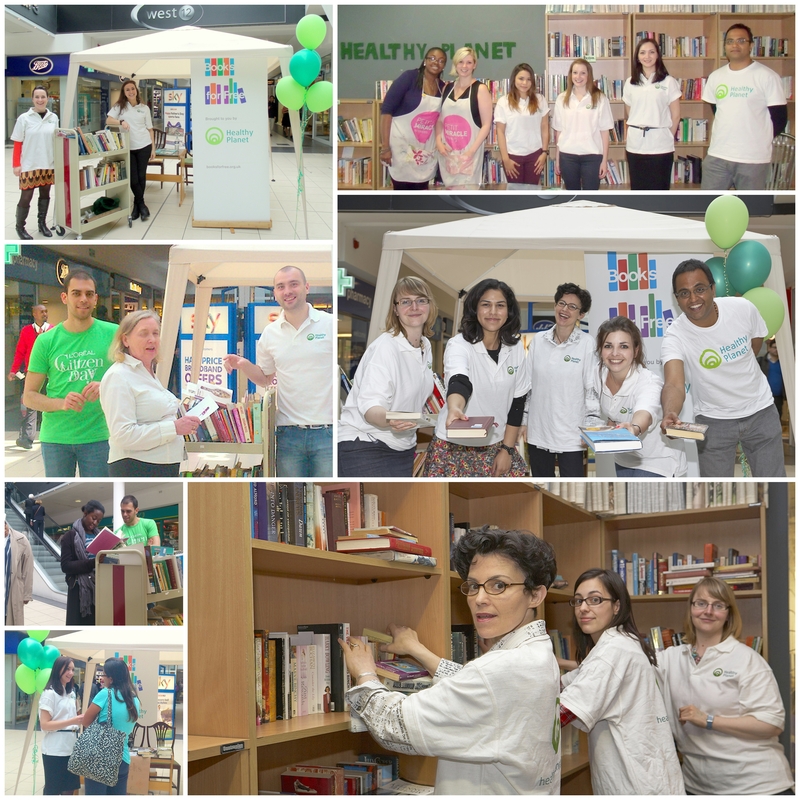 This group of volunteers was headed up by Ulisses Retail Design and Visual Merchandising Manager, we were extremely lucky to have someone with such a wealth of expertise in retail shop design and also loves books to create the vision for the new centre. The morning was spent planning and gathering the things needed for the transformation. The afternoon more volunteers arrived to help decorate and paint, we also had furniture delivered from our partners Furnish who sell second hand furniture. The team proceeded to paint things in the black and white palette and create large sheets of wallpaper made from the pages of old books which had fallen apart and also lining the bookcases with the pages from the books. 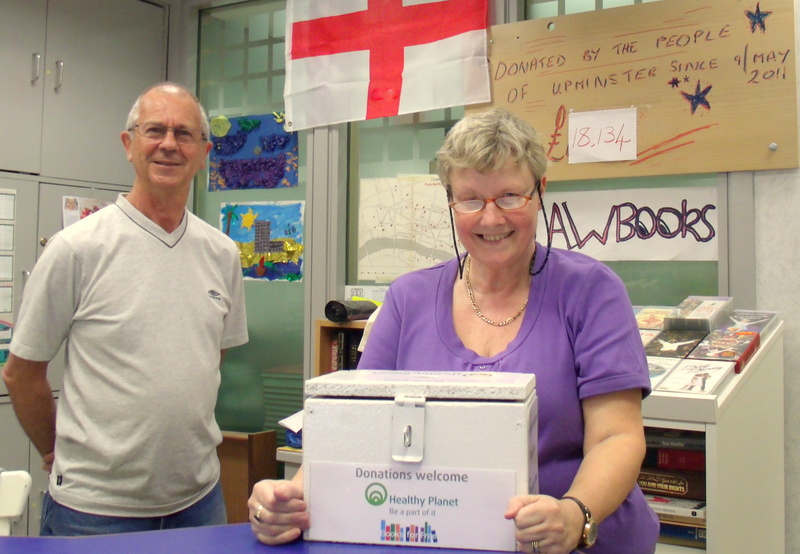 We also received a delivery of 3 pallets of books (around 3,000) so lots of heavy lifting getting the boxes into the centre, it really hit home how many we are rescuing from landfill and pulping and how much space they take up. The fourth team arrived at Chiswick to take the batten to finish the space, lots of painting, we began to start on some of the finishing touches such as the bunting for the windows and painting photo frames. Saw the bookshelves put into their correct positions and books starting to go onto shelves, sorting thousands of books requires a really organised team to focus on getting all those fiction and non fiction in their rightful places. We created signs for each section by using old broken books painted with chalkboard paint and then using a chalkpen. We even made an open/closed sign by upcycling an old frame and using book & map pages to create the letters. 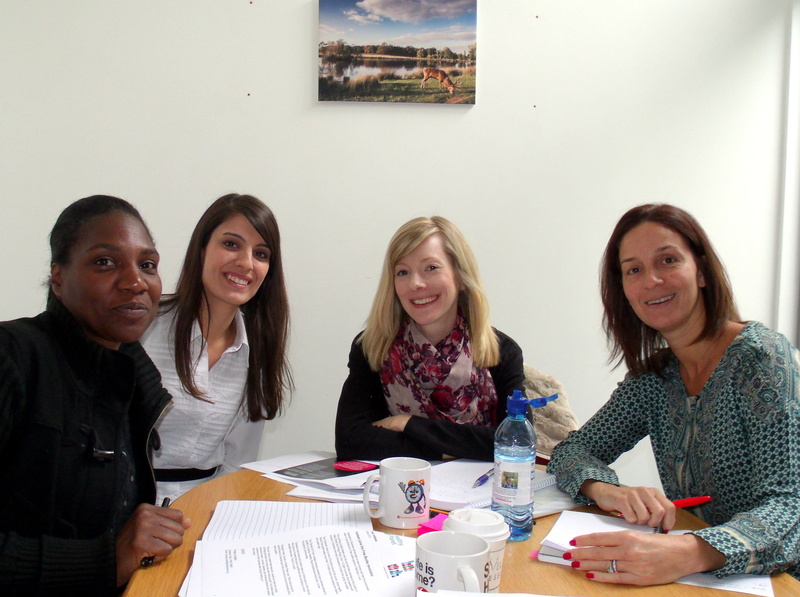 This day also saw an enthusiastic team visit our HQ to discuss advertising the new centre, press releases were written, our communications toolkit for the volunteers rewritten, new streamlined processes agreed and some great ideas put forward. We are also going to be able to reuse this for any new shops we open up which really helps build capacity. saw us move across to the established centre in Shepherds Bush which we share with the lovely Petit Miracles team who upcycle and sell furniture. We were kindly allowed by the West 12 shopping centre to have a stall downstairs to help spread the word about the centre which is up on the first floor, lots of people did not know we are up there! We did this for the next 4 days with a few volunteers in the morning and afternoon coming to lend their support, they chatted to members of the public and helped out in the shop. 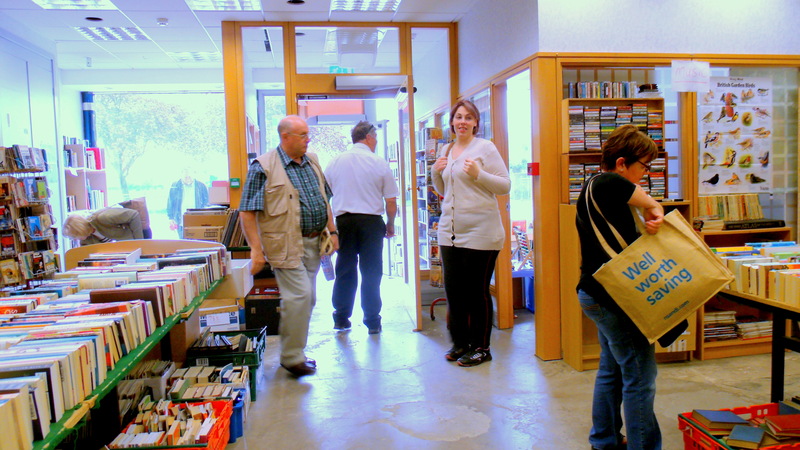 It was really valuable and at 50% increase in visitors was reported in the shop upstairs due to the promo efforts. We were also lucky enough to be chosen by Sophie Gasperment the Chairman of the Body Shop who are also part of L’Oreal we had a major reorganisation of the books to make it easier for visitors to find a great book to take home and also alphabetised the fiction section and Sophie was a brilliant book sorter up in the shop. Finally we had another team visit the HQ to support the internal and external messaging for the Books for free centre, this team are from L’Oreal Paris and coordinate Marketing across a wide brand portfolio so they had some brilliant and creative ideas of ways we could layer our comms and encourage people to get involved with the centre. This project has been really valuable to us as a charity it has offered us a chance to connect with retail and marketing professionals which would be worth thousands of pounds in consultancy. The rare sunshine on 9 June this summer seemed a good omen as I disembarked the tube at Regent’s Park station. With not a clue as to what direction I should be headed, I wandered a bit (across the road—back across now in the right direction—past some gardens, those seemed promising—finally through the park) until I stumbled upon my destination: the London Green Fair. For many tourists visiting London in the summer, an eco-festival of different stalls, speakers, performances and workshops might not make the list of must-see places—but it should! The fair had an open and invigorating atmosphere, with every booth offering not only friendly conversation but also a unique take on sustainability. Whether it be giving out free trees to offset the combined carbon impact of everyone’s travels to the event, or selling homemade, chemical-free soaps, the stallholders truly embodied the heart of the festival and the reason we were all there—to celebrate, enable, and inspire a green lifestyle. The food vendors, children’s activities, speaker’s forum tent, and various workshops that were scattered throughout the fair also made for a fun event. Although I wanted to visit the fair anyway, I was fortunate enough to also get to experience it from the perspective of a true member of the community when I volunteered with Healthy Planet, where I am interning for the summer. By helping Camen and Olivia at the Books for Free booth, I could see firsthand the amazing potential this initiative has as a positive impact on the community, even aside from the environmental implications of reducing landfill by reusing books. The good in encouraging people to read and even in just celebrating reading seemed palpable in the immediate atmosphere around the booth. A kind of excitement was definitely present, with every visitor equal parts incredulous and delighted that they were actually being given free books with no catch. 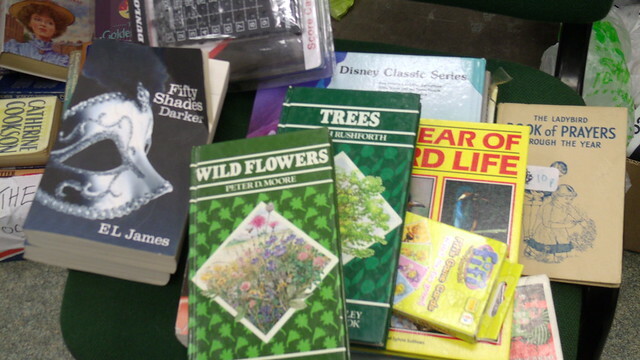 Actually, as it turns out, the Books for Free scheme has a bit of history with the London Green Fair—back at the festival in May 2010 was the trial run for our initiative. Two years later, with 5 stores opening just this past week and adding to an assemblage of over 25 stores nationwide, I would say that the fair helped create quite a legacy for what is now our most popular initiative. 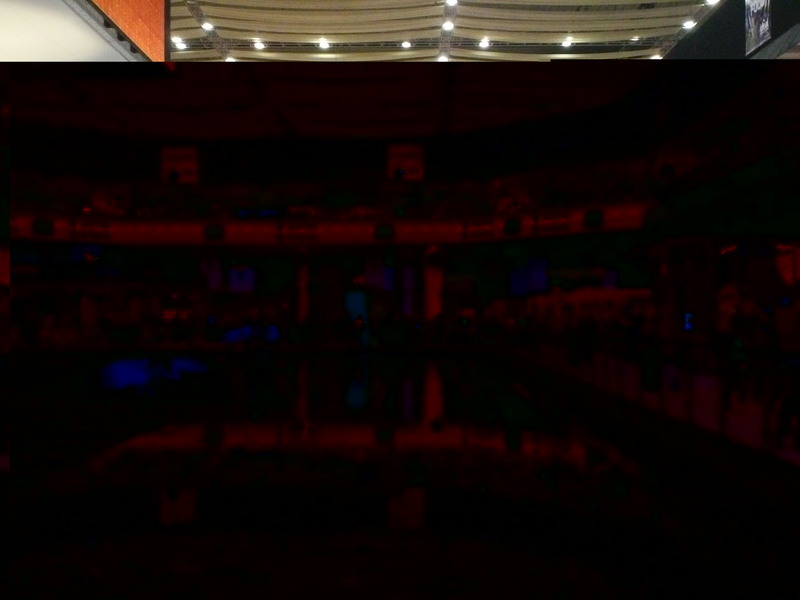 And aside from being an initial enabler for its success, the fair is truly just too pleasant of an experience for Healthy Planet to stay away—we were really in our element there. Visiting the London Green Fair and volunteering at the Books for Free booth have definitely comprised a highlight of my summer here. Even though I am but a temporary visitor to the UK, the close and friendly community feel of this event made London feel just a little bit smaller. You can read more about the fair and its attendees on the website, http://www.londongreenfair.org/. “The ideal homes show has been a really great event for us; we’ve had lots of footfall, with many visitors interested in what we do, especially our Books for Free and Adopt a Plot projects. Considering the exhibition is not environmentally focused it’s been great that people have come up to the stand wanting to chat about what we do. Perhaps it helped that we were giving away free Basil seeds, but people generally seemed really interested in what we’re doing, with lots of visitors wanting to donate books or asking about how to get involved; either through volunteering or using our empty spaces for their own green initiatives. 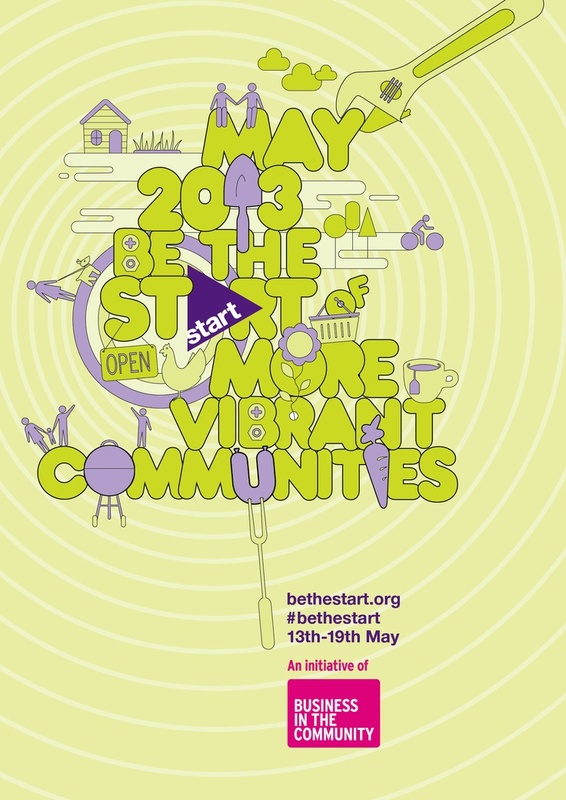 So hopefully from talking to people on the stand we can help make some great ideas happen! John Brookes speaking at the Ideal Home Show is the Marketing & Communications Consultant for Healthy Planet. 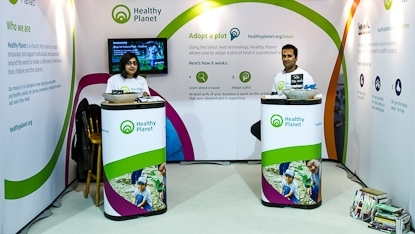 Healthy Planet is always an ideal home for those seeking to make an environmental difference and have been given a great opportunity to showcase ideal environmental solutions too; which you can see at the Ideal Home Show this weekend at the Earls Court Exhibition Centre. Healthy Planet will be planted next door to the Swedish House exhibit, on Princes Avenue. The Swedish House presents functional, well designed interiors that also offer great energy efficient solutions; creating a perfect example of how to produce innovative and sustainable ways of living. The Ideal Home Show is starting Friday 16th March and running till 1st April. With 270,000 visitors expected here at Healthy Planet we are incredibly excited to have been invited to exhibit; thanks to our innovative green take on consumerism (Books for Free) and our award winning online support for conservation projects (Adopt a Plot). To highlight the Adopt a Plot initiative Healthy Planet will be giving away promotional seed packs and screening our specially-made Healthy Planet film to highlight the projects. Our supporters can get 10% off the ticket price by clicking on the banner below. We would love to see you there! A healthier planet starts here. 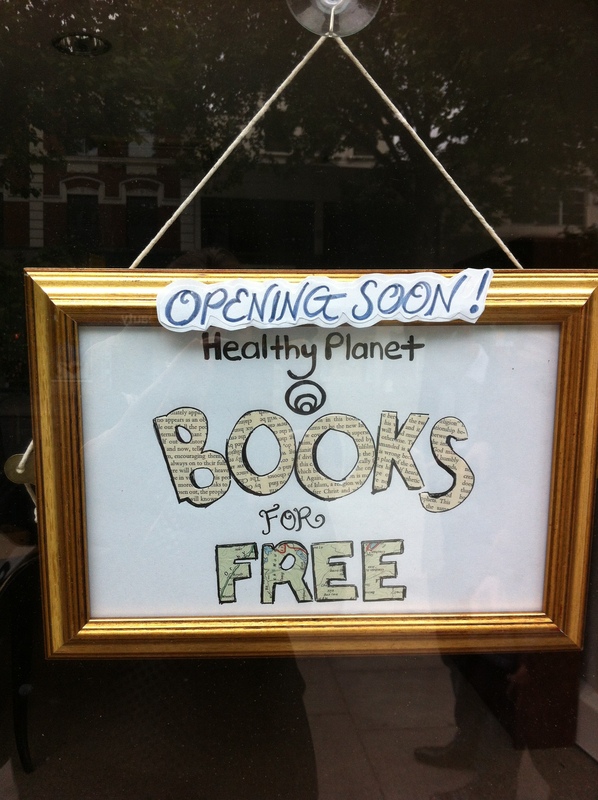 But rather than throw it to the trash or try to re-sell it for pennies, why not donate it to Healthy Planet’s BooksForFree initiative? 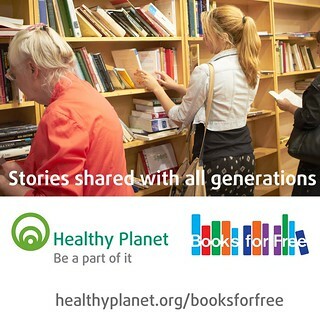 Healthy Planet is a not-for-profit organisation, managing volunteer-run BooksForFree projects that take in public donations, publishers’ surplus, and unsold books from charity shops before giving them away for free. Really. You can walk into any one of the initiative’s nation-wide stores and feel free to take up to three books, free of charge. Regardless of whether you’re donating your own books or not; as the project works to the classic tune of supply and demand, receiving a bag-full of books one minute before passing the same books on in their threes to a new home soon after. You may well discover their true shopping personalities, as reading the stores’ scattered signs signalling the 3-book-maximum will instantly divide customers into either Camp X’s astounded “three for free? ?” or Camp Y’s covetous “what, only three? !” responses. 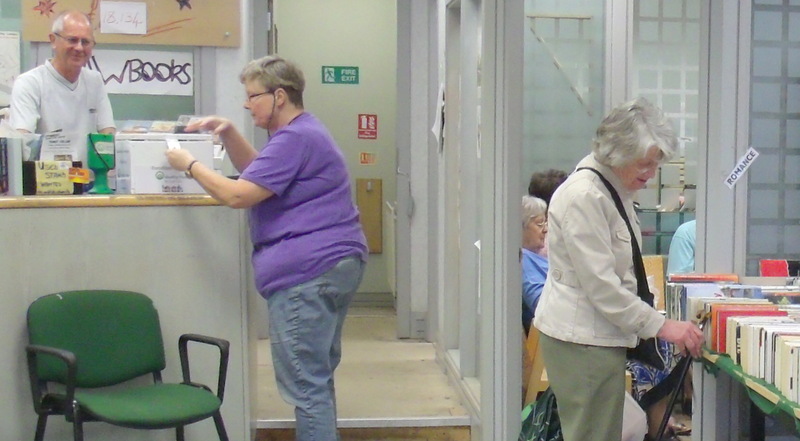 As it is a strange concept to grasp, especially when approaching the counter where you find yourself confronted by a donations box in place of a cash register and receive a bookstamp rather than a receipt. 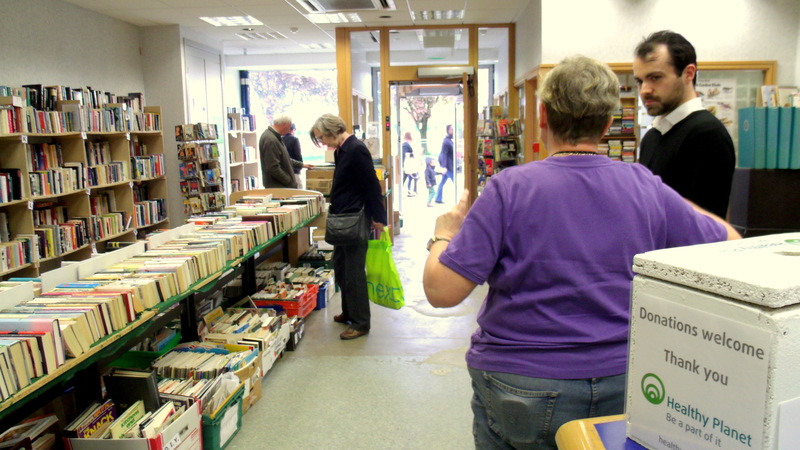 You can even return your ‘purchase’ at any time free of receipt squabbles, creating some form of library-shop hybrid without the loyalty card. This makes up a refreshing anomaly within the average shopping experience, noticeable for the distinct absence of cash transactions, chip & pin machines, and promotional offers. For today’s businesses set a price for everything, but know the value of nothing. And this is how BooksForFree distinguishes itself, as it recognises the value of a dust-ridden literary classic but refrains from barcoding it with a price. It is simply stamped with Healthy Planet’s logo complete with a discreet request to “Pass me on when you’ve finished reading me”, and it becomes a priceless entity. And this collection of entities combine to create a project that provides a contemporary outlet to the cyclical nature of the purchase and disposal of goods, whilst being sustainable in tackling the world’s financial and environmental problems. For these threats are posing ever more questions to our economic evolution, and projects such as this may prove to be part of the solution.